VANCOUVER, BC – British Columbia brewery tour company Canadian Craft Tours has announced the schedule and details for its Seasonal Release Brewery Tours for autumn 2017. Focused on tasting and learning about wet hop ales, Oktoberfest lagers, pumpkin beers, and other seasonal brands, the tours will be taking place in cities and regions throughout the province – including Vancouver, Victoria, Nanaimo, Kelowna, Penticton, Port Moody, North Vancouver, Squamish, and Sea to Sky – between September 29th and October 8th. 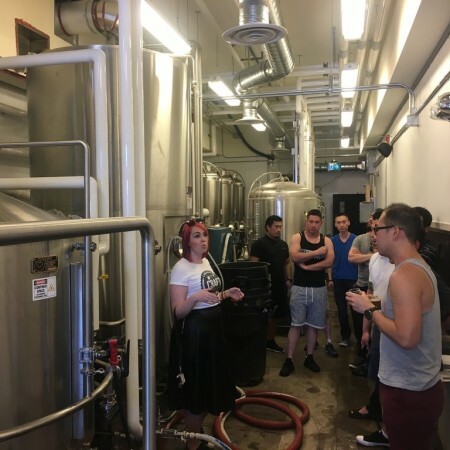 Each tour includes round-trip minibus transportation to three breweries, a tour and seasonal beer flight at each, and a specialist tour guide providing information on BC’s craft beer scene. For more details and to book tickets to any of the tours, see the Canadian Craft Tours website.